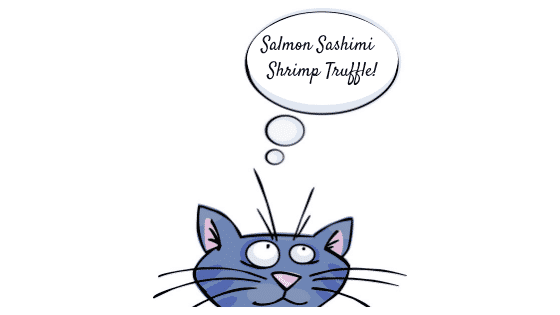 » Should Cats Eat Raw Fish? ​​How often do we see an image of a cat with a fish? It's just an accepted association. ​Our cat knew when the fisherman in the ​family arrived home ​with fish after a day’s fishing. In fact the cat actually put two and two together when he heard the knives being sharpened ready for the filleting of the fish. There would be no question that he was lining up for his share. It is widely believed that cats evolved in the desert regions of the world so suffice to say that fish wouldn’t have been a regular part of the diet. Cats are obligate carnivores which means that the majority of their diet should be meat and in fact they need meat to survive. Protein needs makes up a large percentage of their diet. Cats in the wild hunt for small prey such as birds, reptiles and rodents. ​Fish is protein I hear you say. Yes that is true but a diet of heavily weighted towards fresh fish will eventually mean that the cat will become​ deficient in Thiamine (Vitamin B1). This very good article explains ​clearly what happens when a cat becomes deficient in Thiamine or Vitamin B1. ​What Fish Can Cats Eat? ​Is Tinned Tuna Or Salmon Okay For Cats? ​What Food Is Not Okay For Cats? ​However we know that cats like fish and the good news is that you can still feed your cat canned cat food containing fish as it has been specially ​formulated to contain thiamine and other vitamins and minerals that are essential for good cat health. Read the label of canned cat food and you will see that ​thiamine is included. So ​providing the your cat doesn't have an allergy to fish, canned cat food that is fish should be fine for your cat​. ​Always check labels of food when you are buying food for kitty. What about that tin of tuna or salmon you have in the cupboard? Is that okay for the cat? Not not really. If it is the variety that is packed in oil it will also contain salt. If it is the variety that is canned in brine or water that is a better option however it should just be a treat or a sometimes or emergency option and not form part of ​the cat's diet. Stick to the canned cat food that contains fish. The same applies to fresh fish. Yes cats do like fresh fish but make sure the diet is balanced by providing other good sources of protein such as chicken and turkey. ​For a comprehensive list of food that cats should not eat and why, the article below examines 30 different types of food. You may be surprised by some, for example raw fish, as examined in this article. What about milk? Is milk good for cats? In folklore it has been accepted that cats like milk and cream - just think of the saying, 'the cat that swallowed the cream'. Most people would ​assume that milk is good for cats. ​There are some excellent fish based cat foods. This article examines what you should look for in cat food that contains fish and which food our cat adored. In fact he loved it so much we jokingly thought it must have had some addictive properties. ​Cats love fish! Here are the creme de la creme choices of cat food ​that is fish. Previous Post Why Does My Brazen Cat Scratch Me? It’s a Full On Assault! 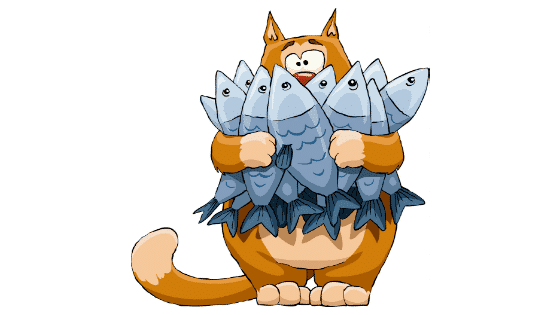 Next Post What Fish Based Cat Food Is The Best?